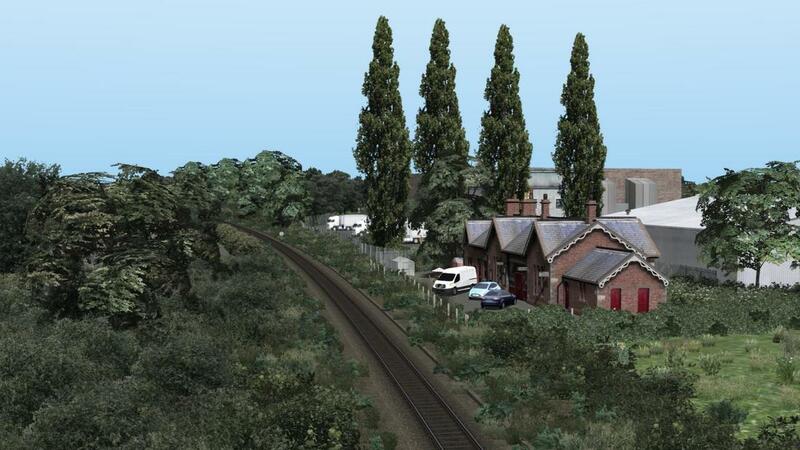 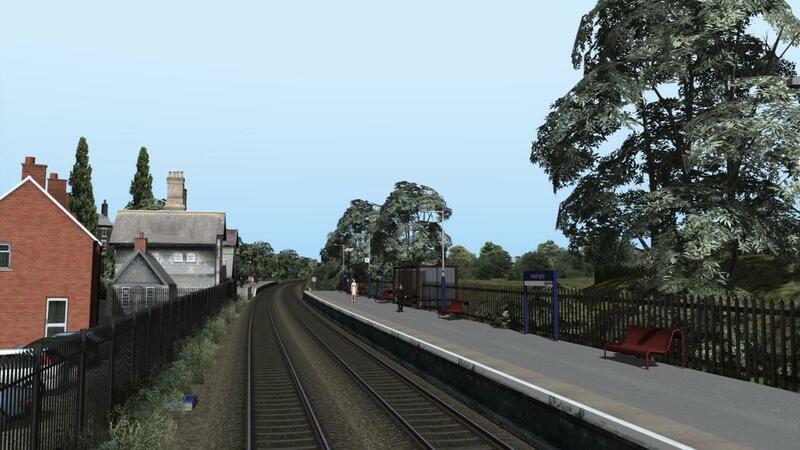 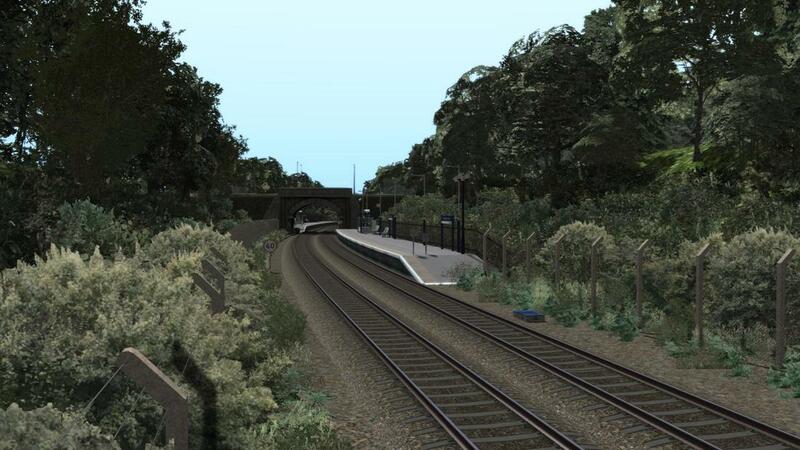 VP Harrogate Loop V1.0 - OUT NOW! The Harrogate Loop,a 38 mile journey from York to Leeds,traversing some of Yorkshire's most beautiful landscapes and bridging the gap between three of it's most unique settlements. From the medieval heart of York to the attractive towns of Knaresborough and Harrogate before arriving in the bustling metropolis of Leeds the route has it all! 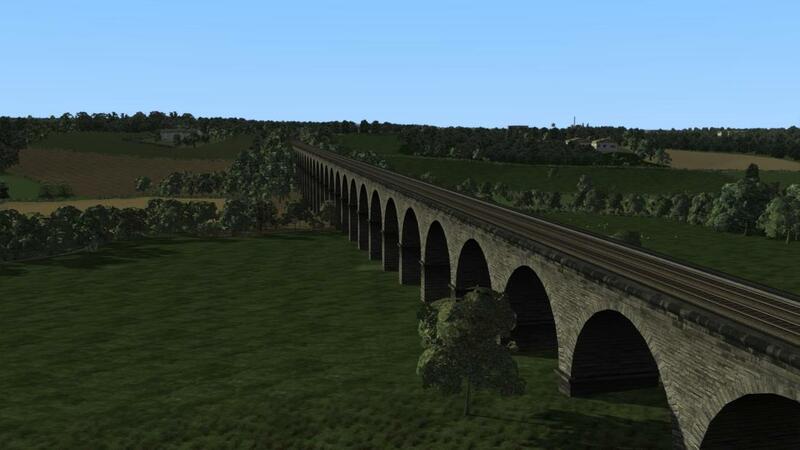 From huge viaducts to long tunnels,single track trundles to mutli track junctions,it really is an amazingly varied route through one of the most stunning areas of England. In 2010 The Transpennine Route was begun by Jim Nobbs (AKA Nobkins) creating a substantial rail network spanning coast to coast between Liverpool and Scarborough. 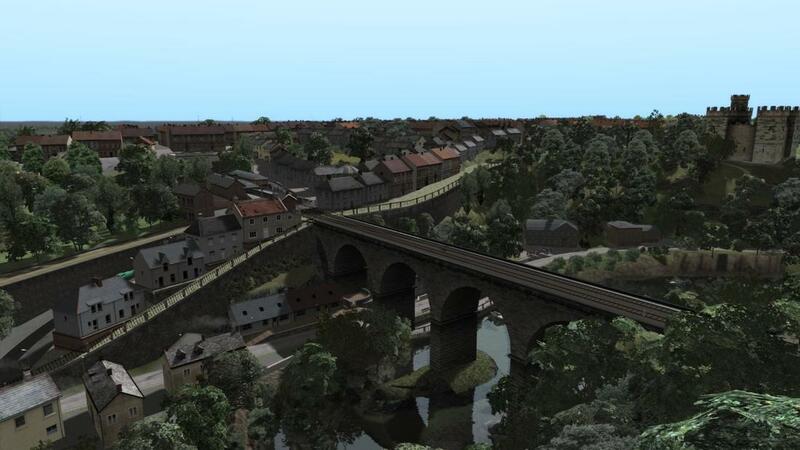 Along with that all railway lines in between were included such as the ECML from York to Doncaster, Leeds to Bradford and the Calder Valley and much more. 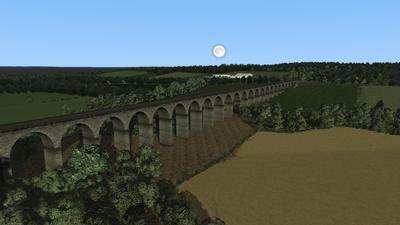 The route had a team over the years of 23 different contributors. 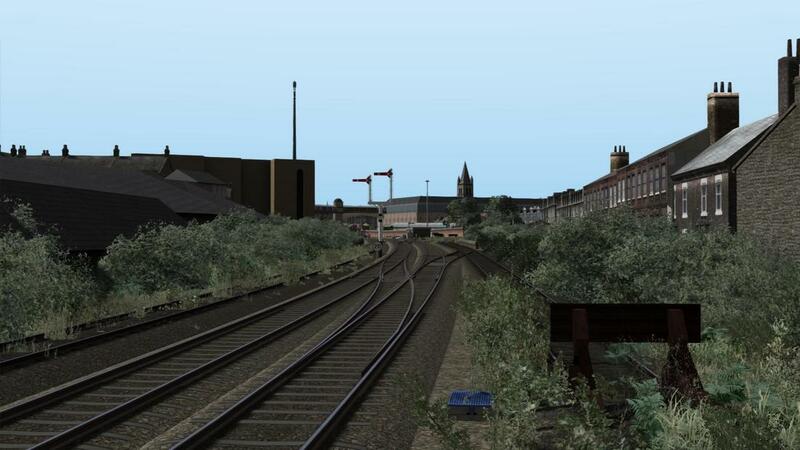 People came and went all leaving some valuable work behind them. 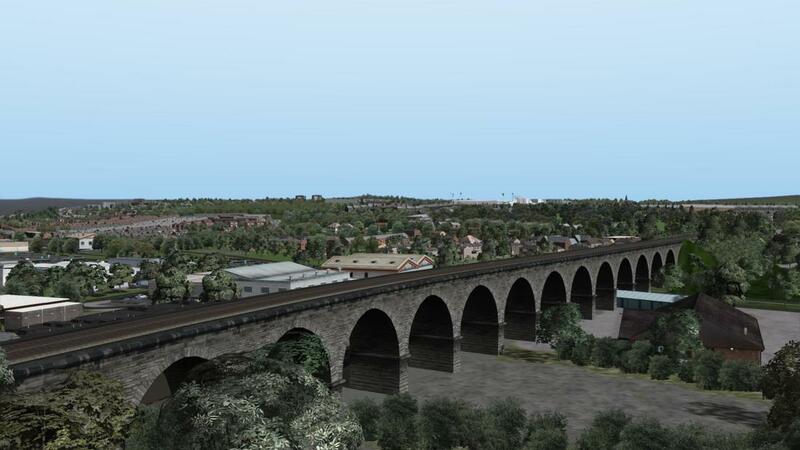 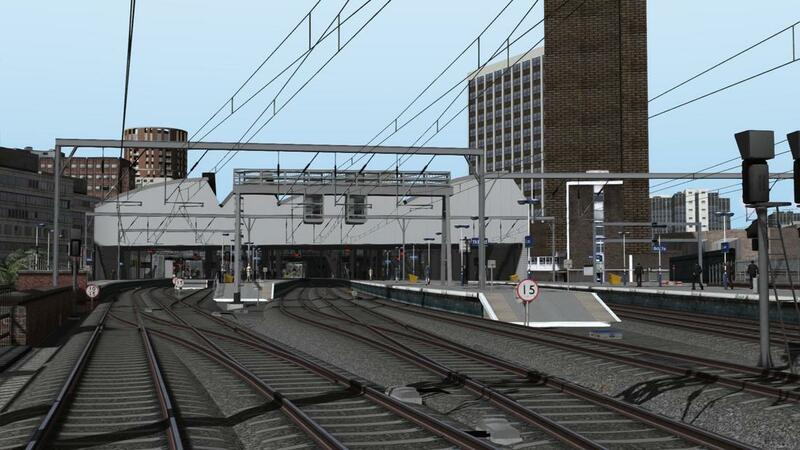 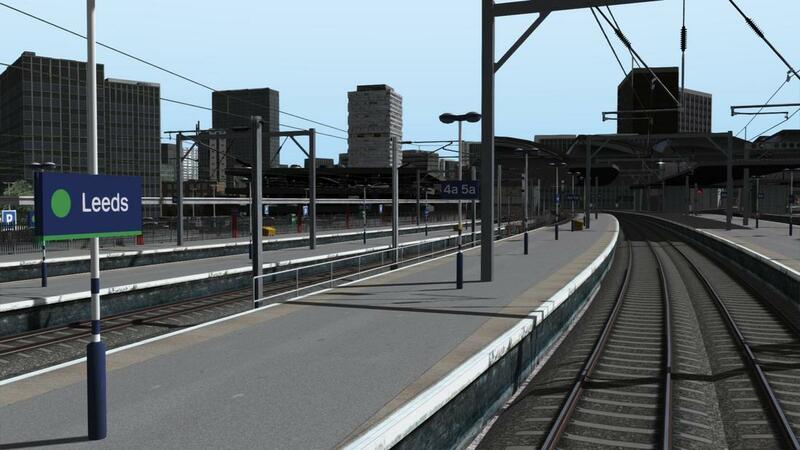 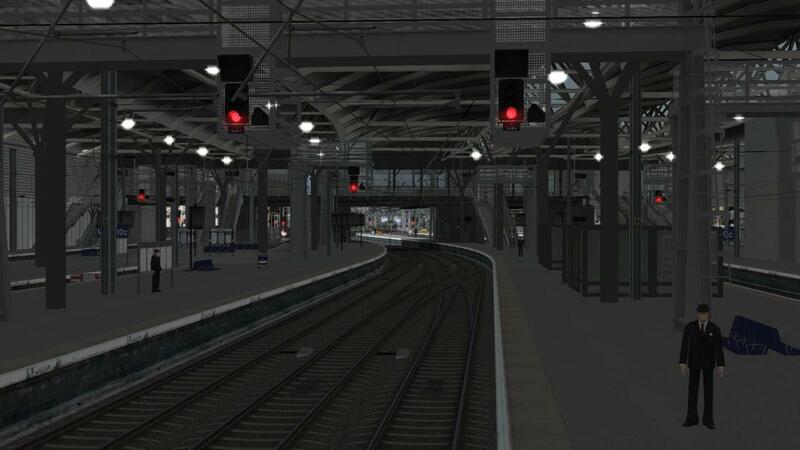 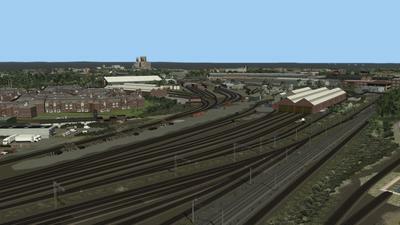 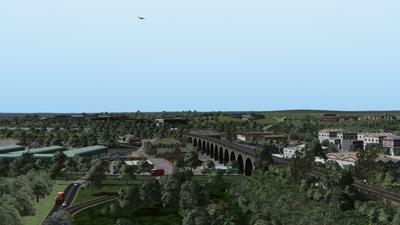 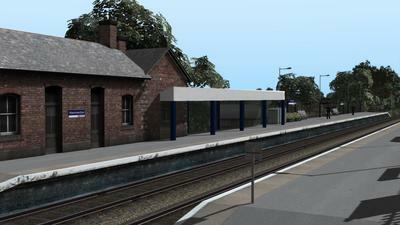 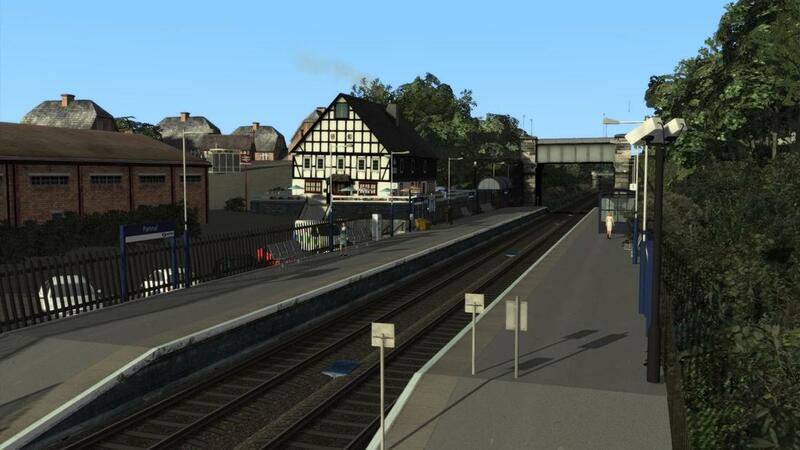 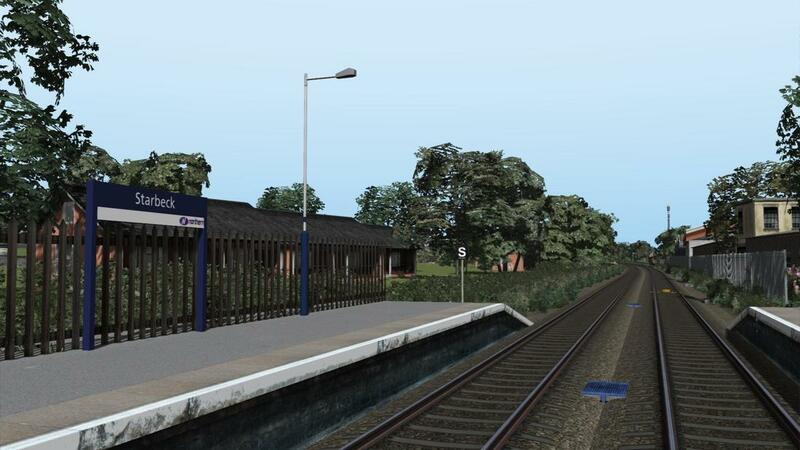 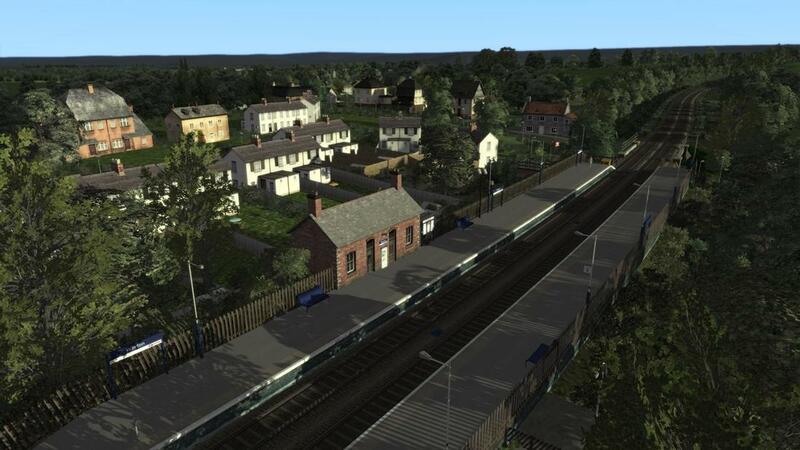 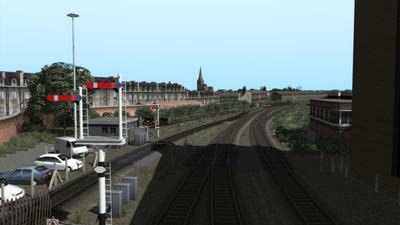 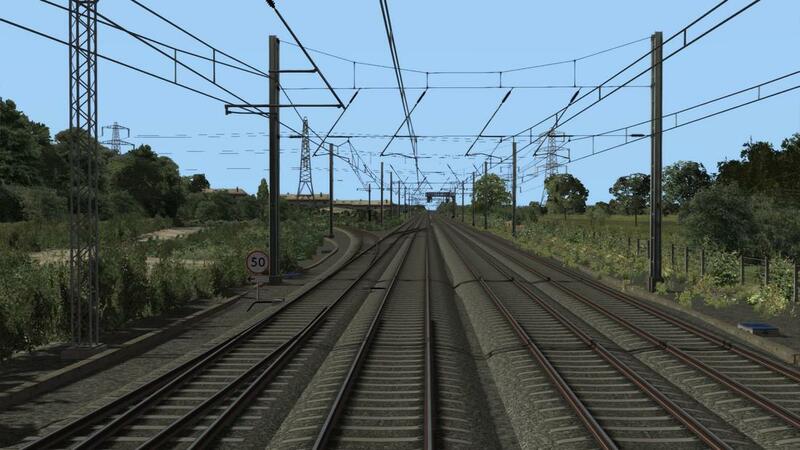 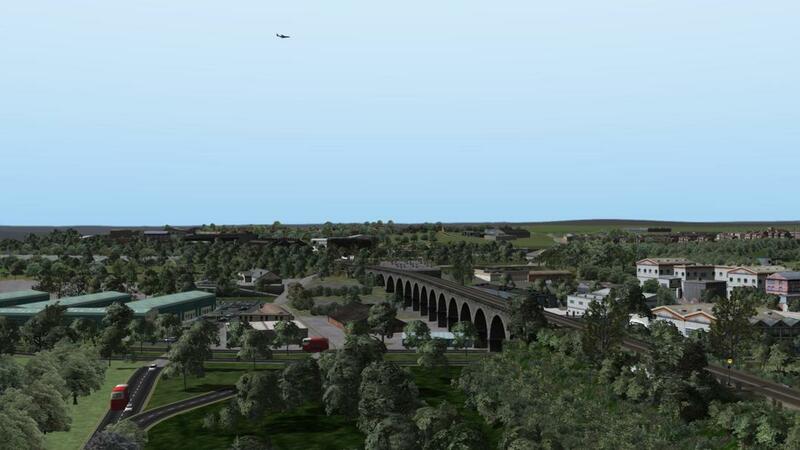 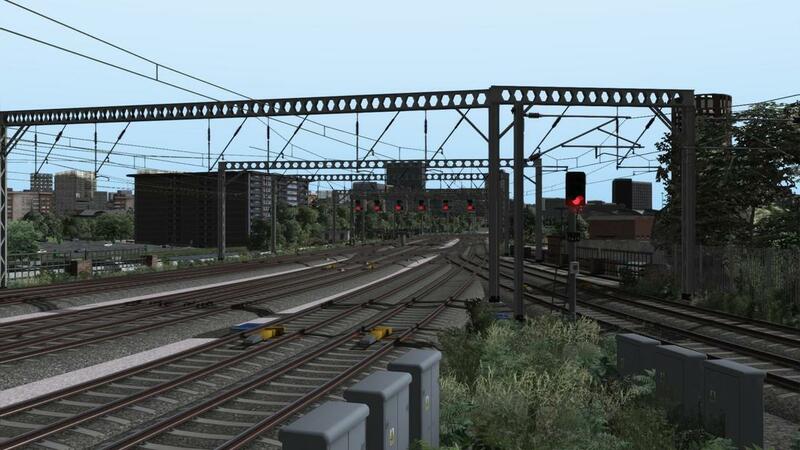 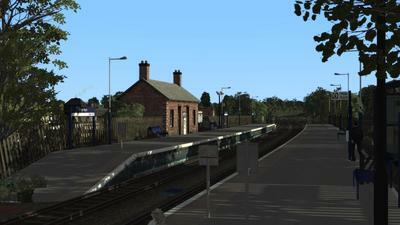 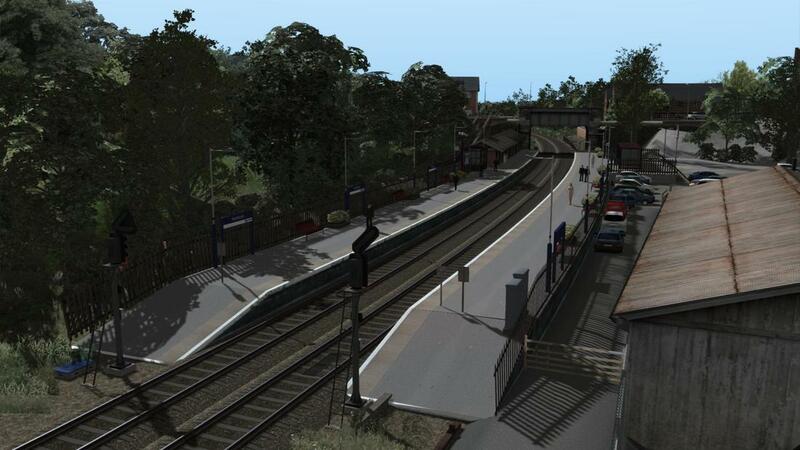 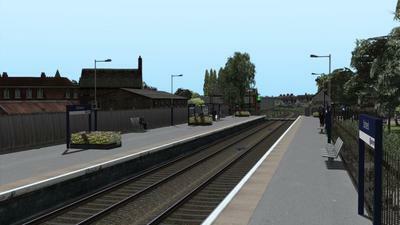 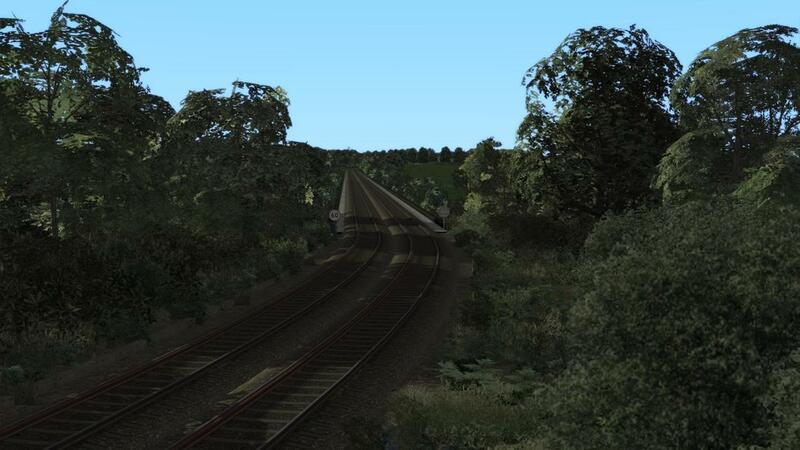 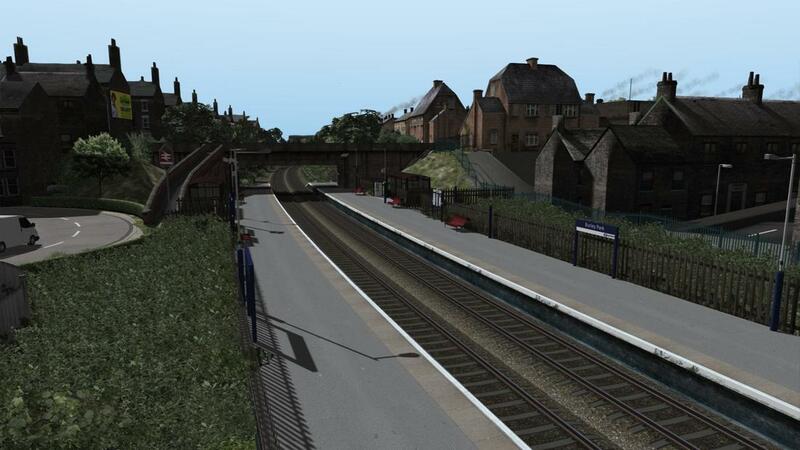 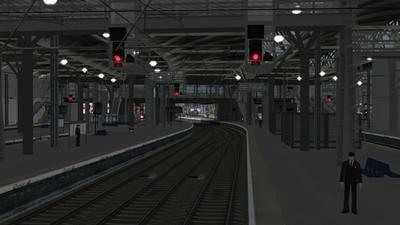 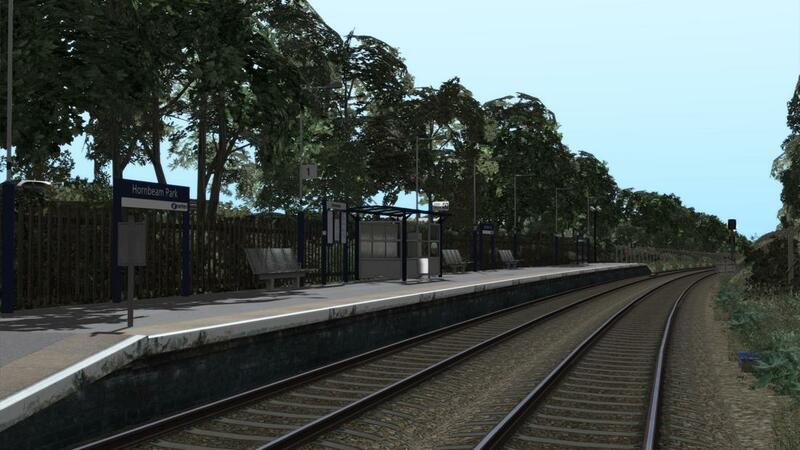 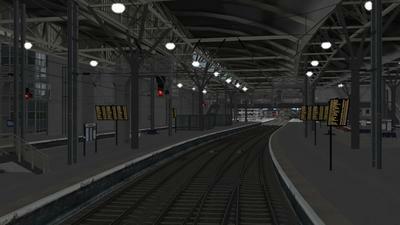 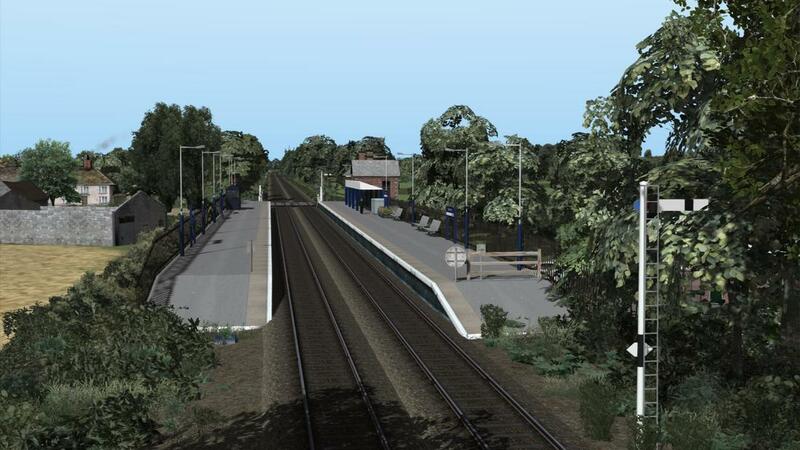 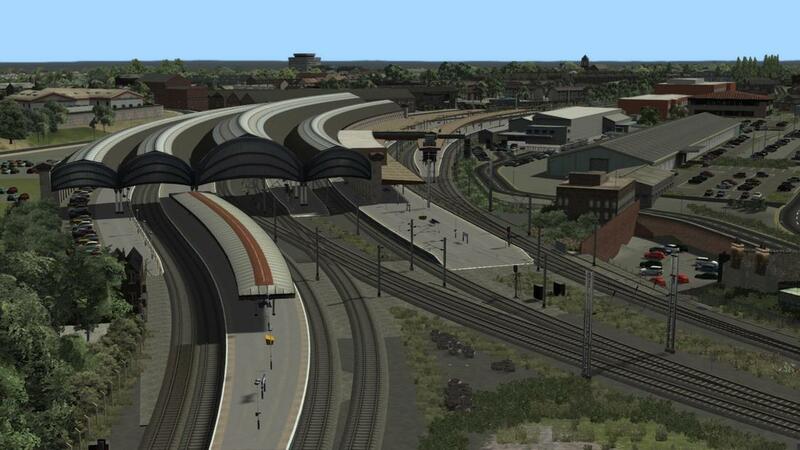 The main route focus for the beginning release was to be Neville Hill - Leeds - Harrogate - York. Sadly the project never saw the light of release and got shelved in 2014. 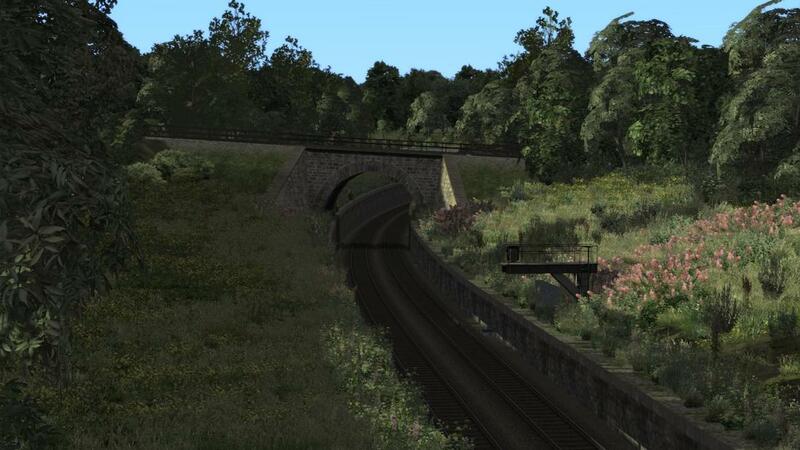 In July 2016 Tom Harrison decided to open the Harrogate Loop once more and began to update the scenery to bring it up to current standards. 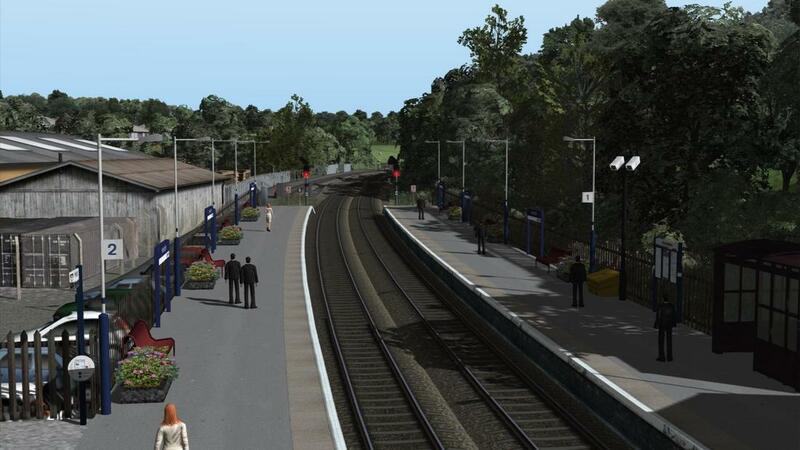 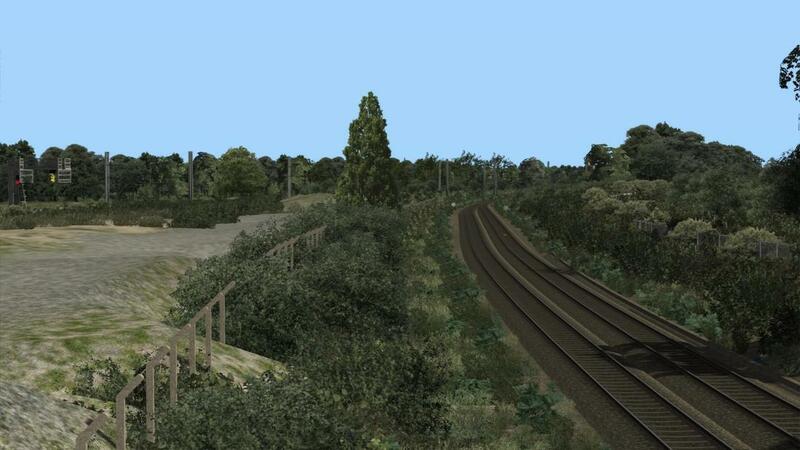 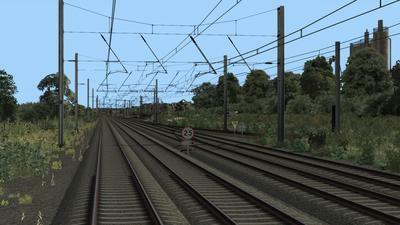 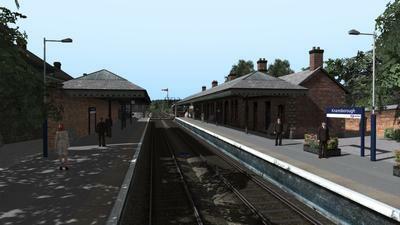 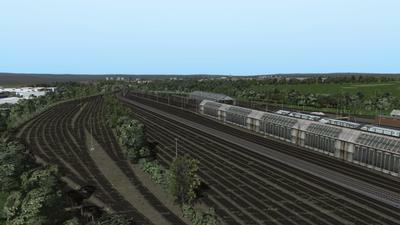 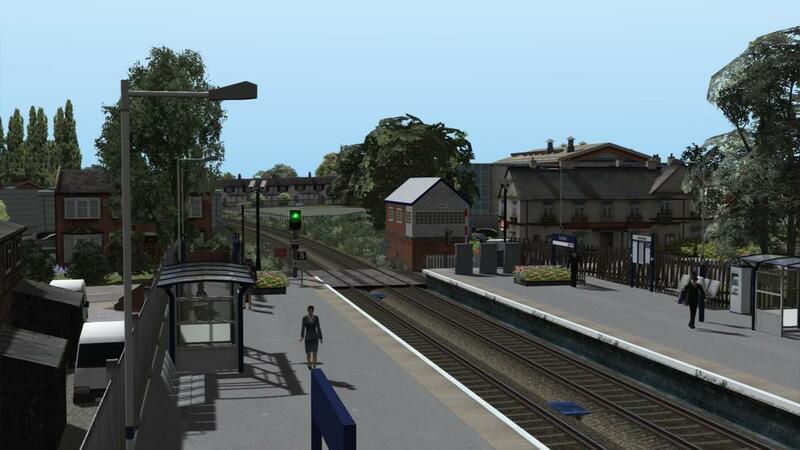 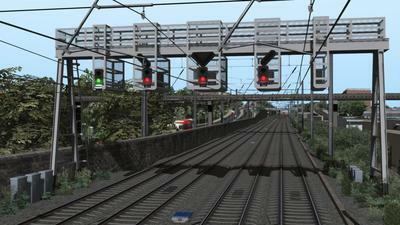 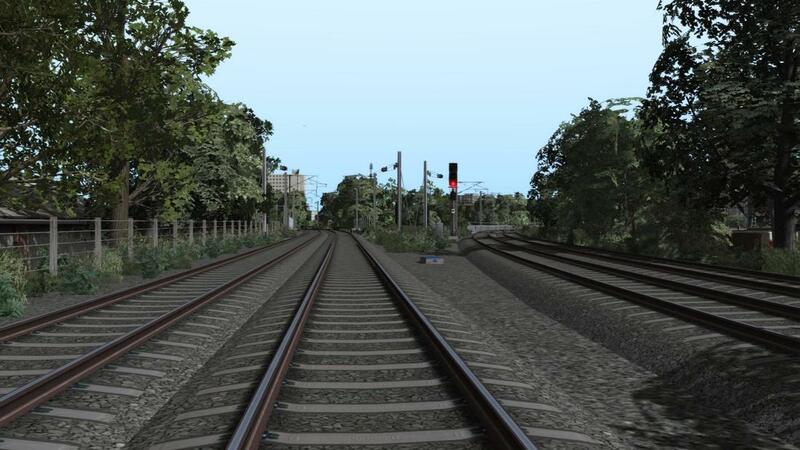 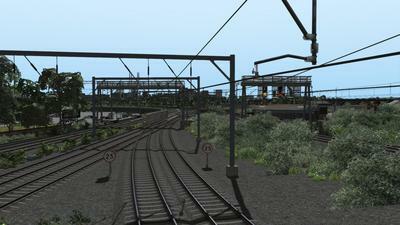 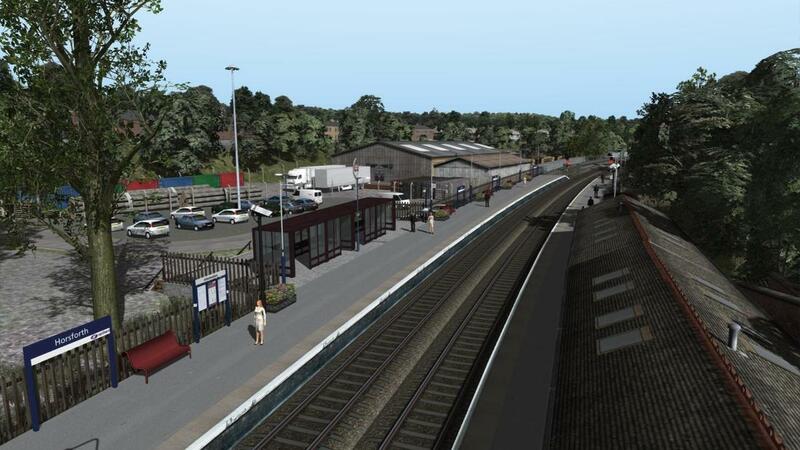 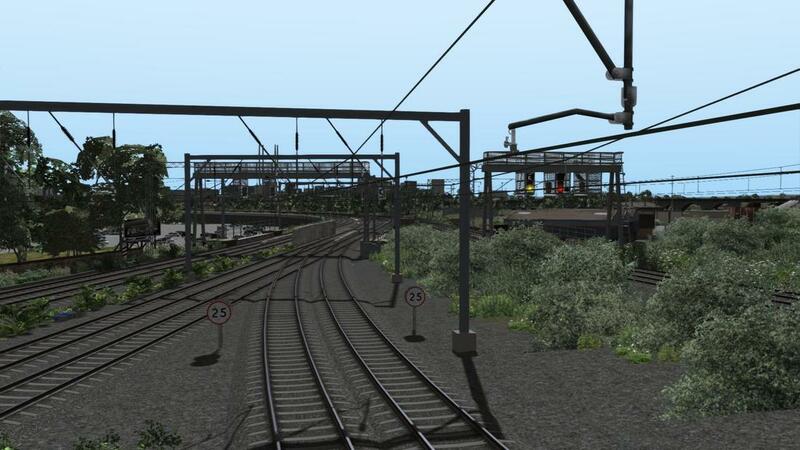 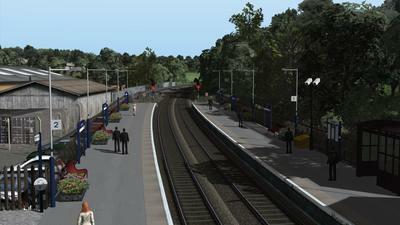 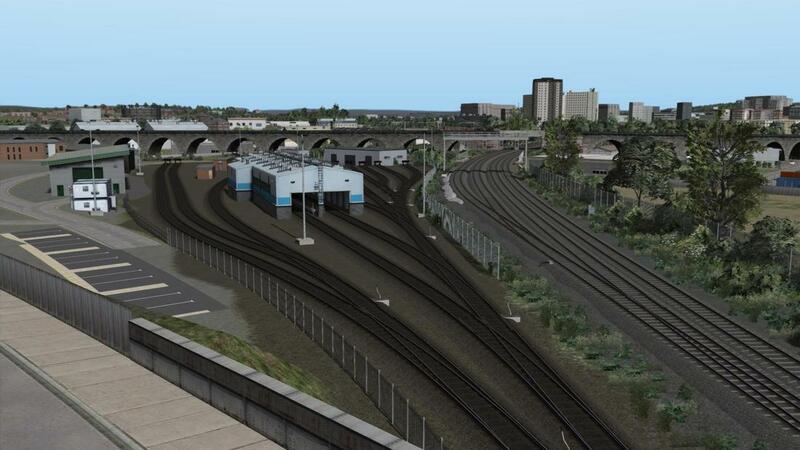 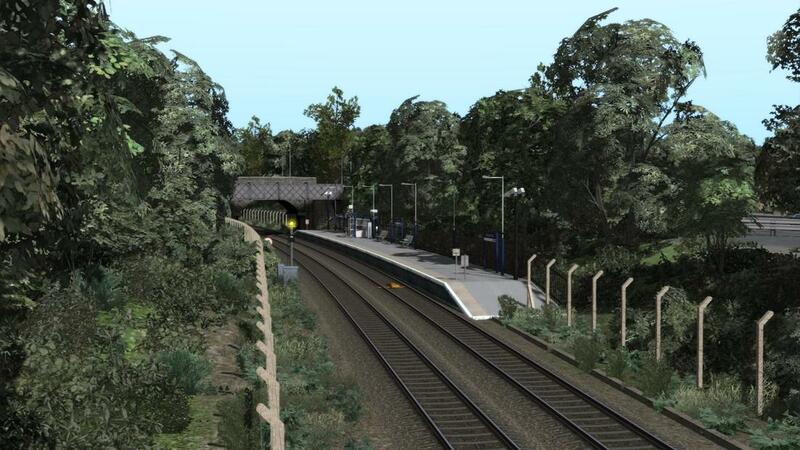 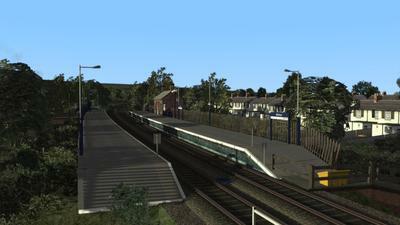 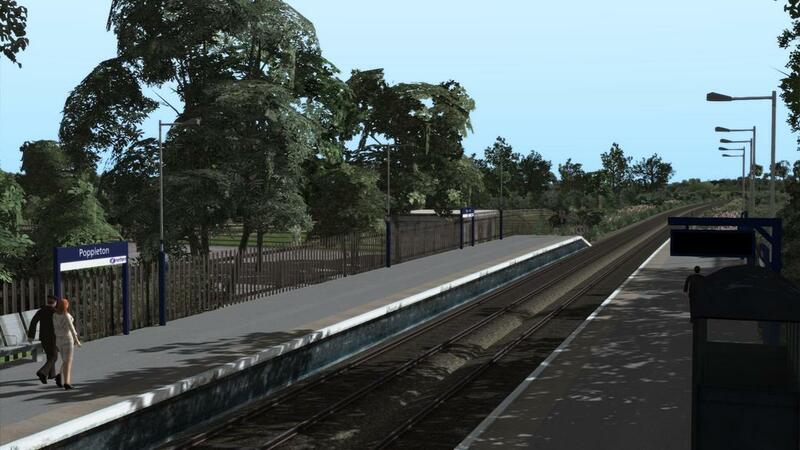 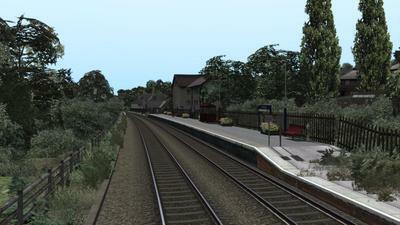 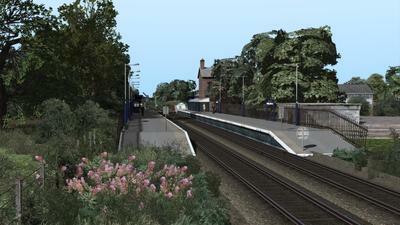 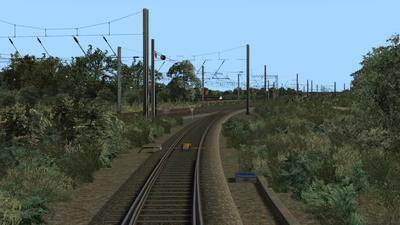 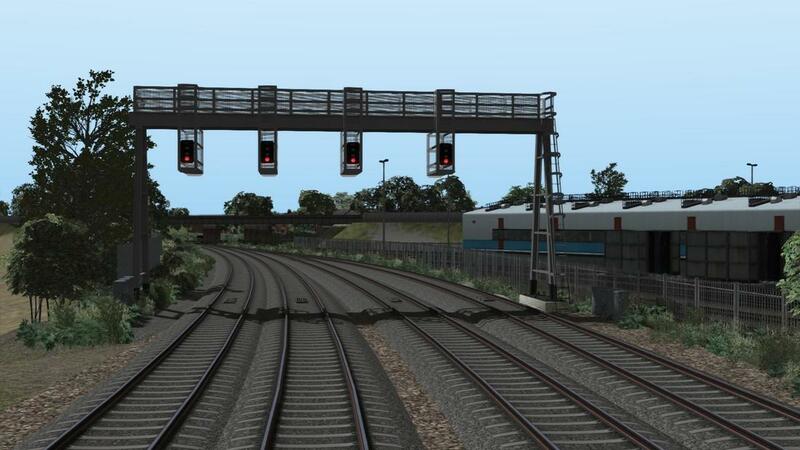 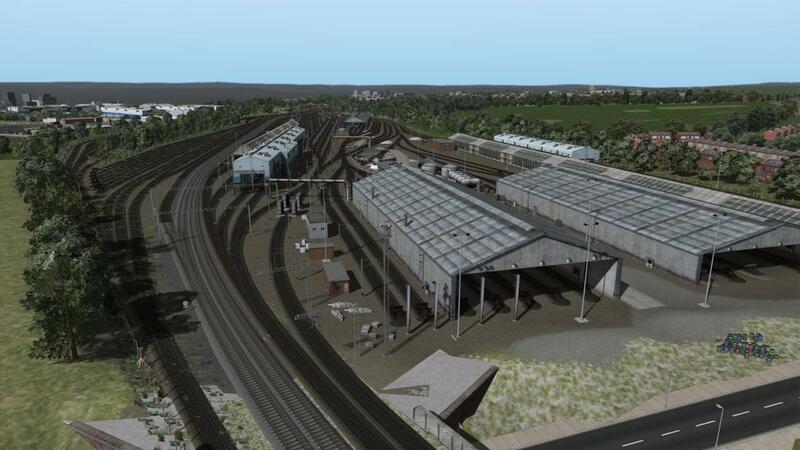 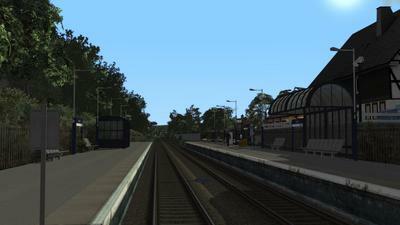 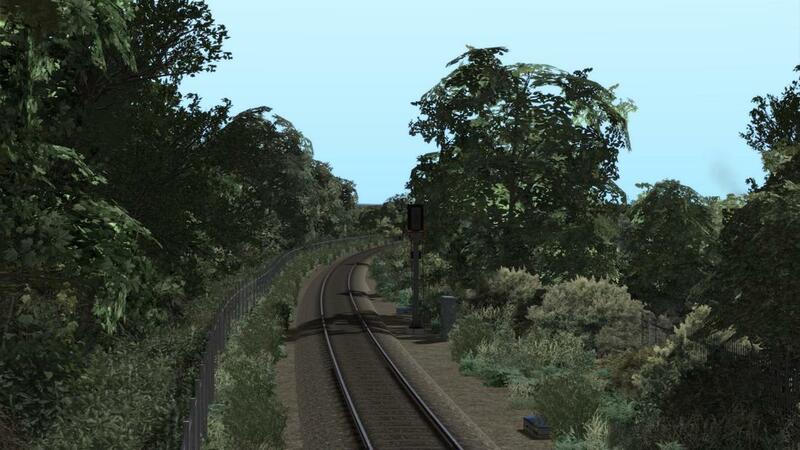 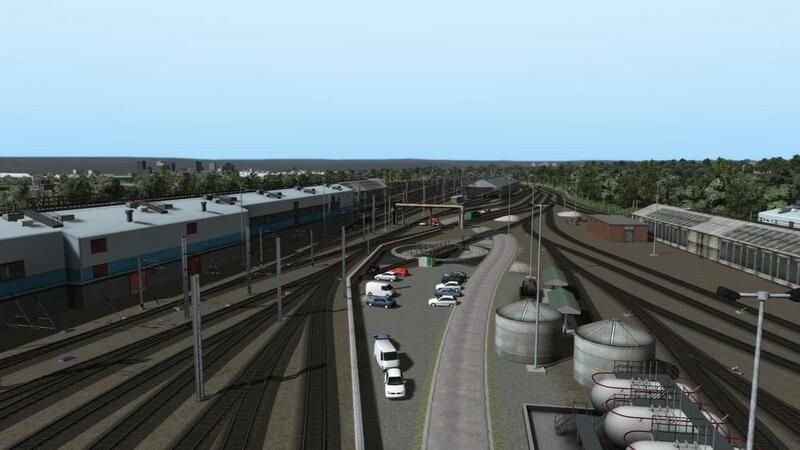 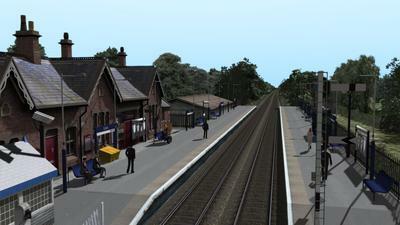 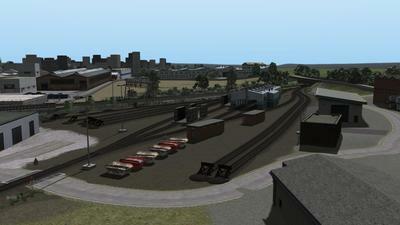 Doing so came at a cost though, whereas the old version was solely KUJU Scenery and freeware only assets as well as a very unstable track network the new version had to lose a lot of track and also saw the enabling of numerous Payware DLC to ensure better quality assets were used (foliage been the prime example). 16 Service Scenarios are provided with the route. 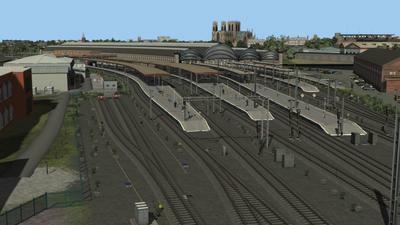 York features it's impressive station with 11 platforms,but along with that the area also has a number of yards,including Holgate,York North and South and the NRM's small yard. Beyond that there is also the Siemens Depot which serves as a base for Transpennine Express Class 185's. York is an important railway hub with the lines to Scarborough,London,Leeds,Yorkshire,Harrogate and the North all converging making it one of the busiest places on the network. Harrogate trains normally use platform 8. Skelton Junction is the point where the Harrogate line diverges to the west,while the ECML continues north,trains leaving the Harrogate line often get held here as they have to cross over to reach the Down line into York station. 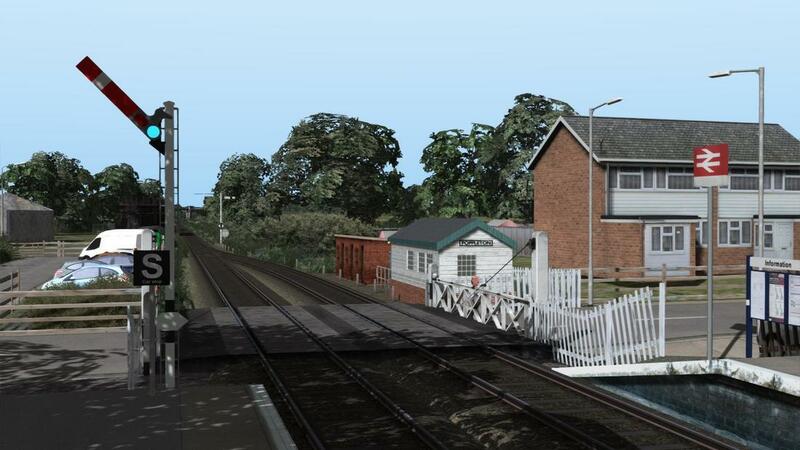 The speed limit over the junction is 50mph in both directions,the line is also single for a short distance before returning to double track for the run to Poppleton. Poppleton is the first station from York,seeing predominantly hourly trains to Leeds and York. 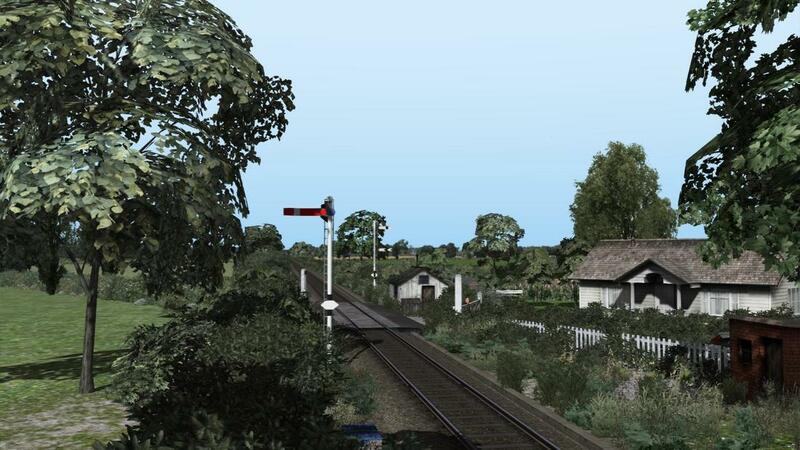 It is the point at which the line becomes single track,for the 6 mile section to Hammerton,this is still token and semaphore operated in 2017,and is a delightful place to spend a summer's afternoon. A rural section crossing an area of farmland,filled with crops. 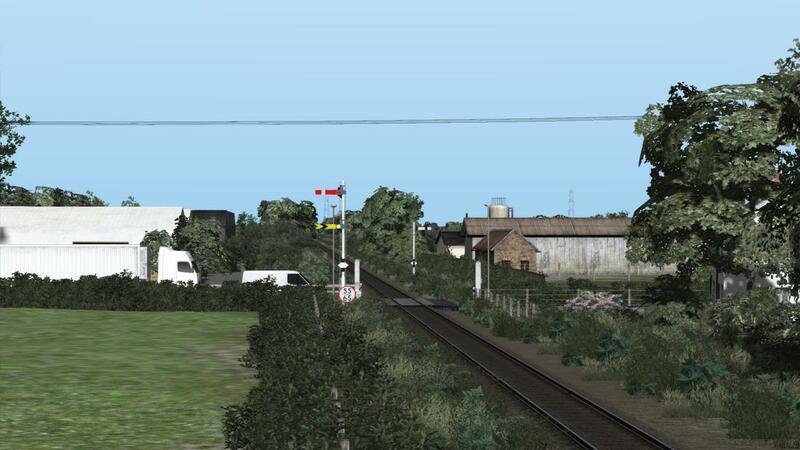 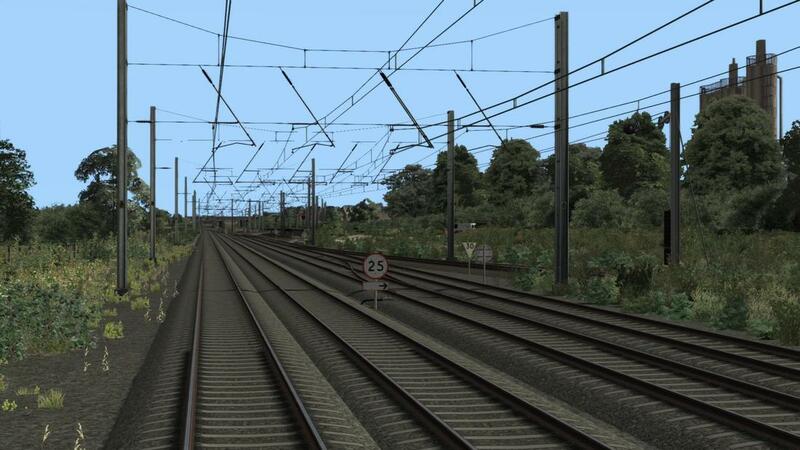 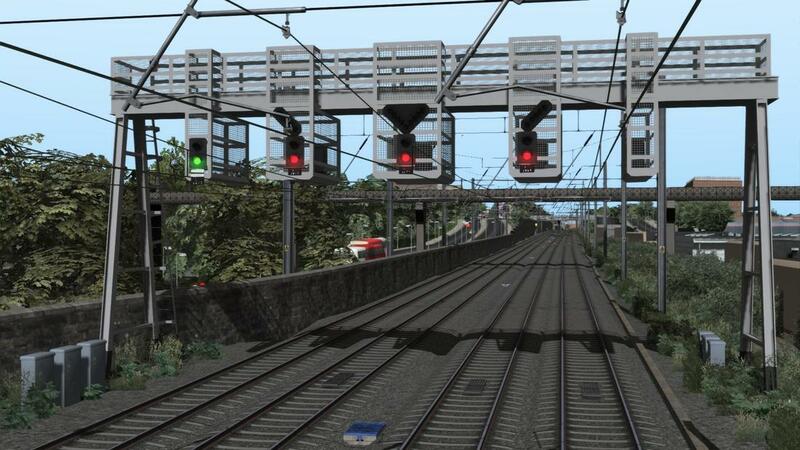 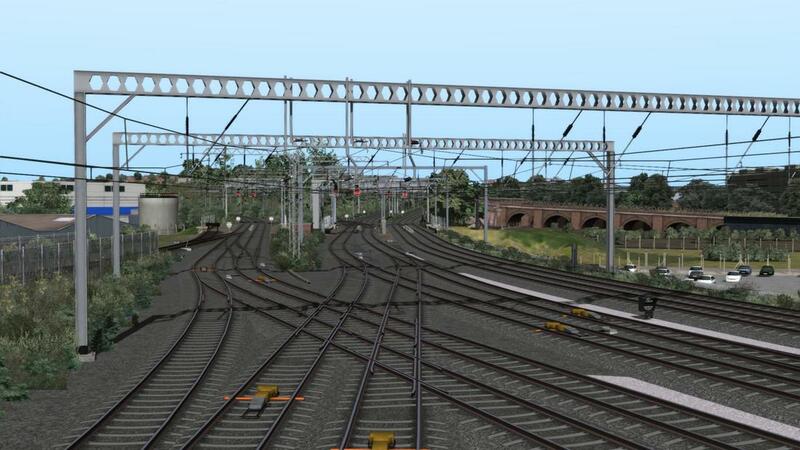 Semaphore signal controlled manual crossings are located at Hessay,Marston Moor and Wilstrop,gradients are easy. 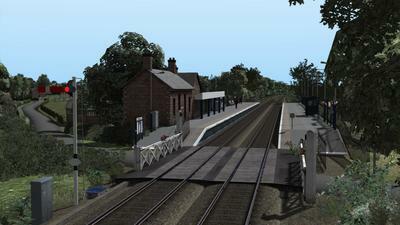 Hammerton is the next station,another more signals located here at the end of the token section from Poppleton. At Hammerton a short double track section begins for the 1.5 mile section to Cattal. 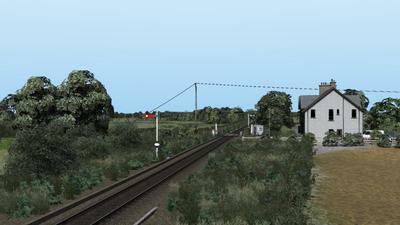 Cattal is where the line reverts back to single track for the section to Knaresborough,a signalbox once again controls the signals while on the Down line a combined signal with distant arm indicates that the signal for Whixley LC is ahead,again semaphore controlled. 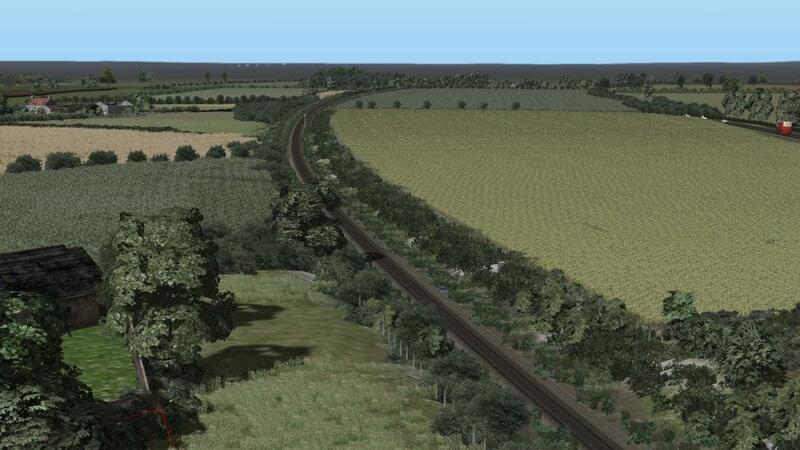 This 6 mile section features another area of farmland,features include Whixley semaphore controlled LC before later passing under the A59 York-Preston road near the site of the former Goldsborough station. 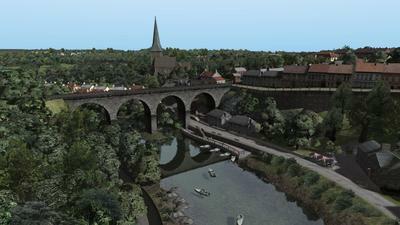 Upon passing the distant signal for Knaresborough the line begins to climb sharply on a ruling gradient of 1 in 87 before plunging through the short tunnel into Knaresborough station. 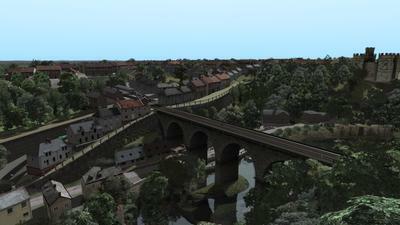 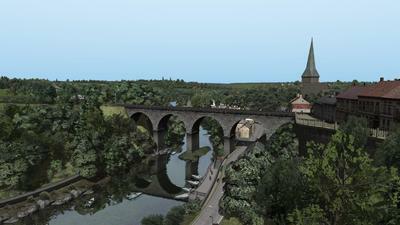 Knaresborough is where the line returns to double track for the remaining 22 miles to Leeds. 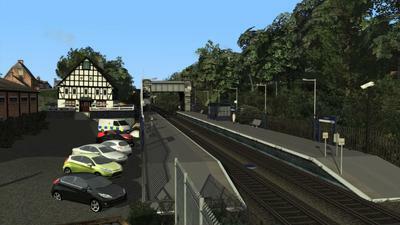 Knaresborough not only sees the hourly York-Leeds services,but also terminating services from Leeds which arrive into platform 2 before shunting into platform 1 for their return journey. 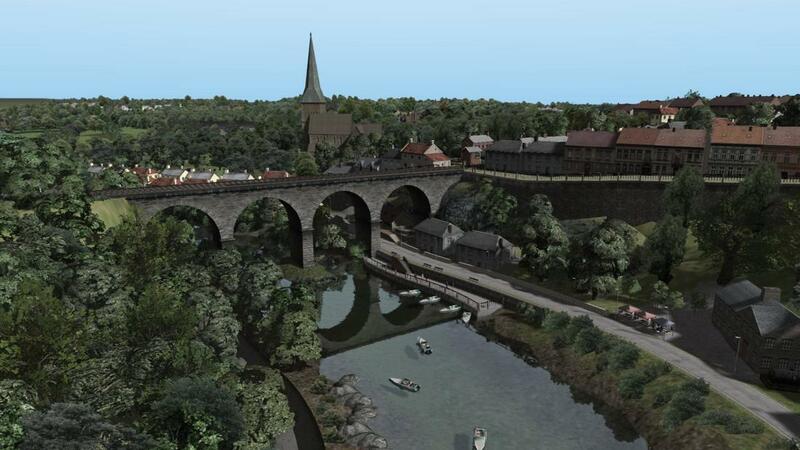 The town is dominated by the magnificent Nidd Viaduct,which crosses the river of the same name,while Knaresborough Castle dominates the skyline on the East side of the line. 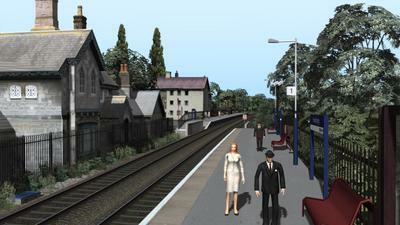 The well known Mother Shipton's cave is located in the town. 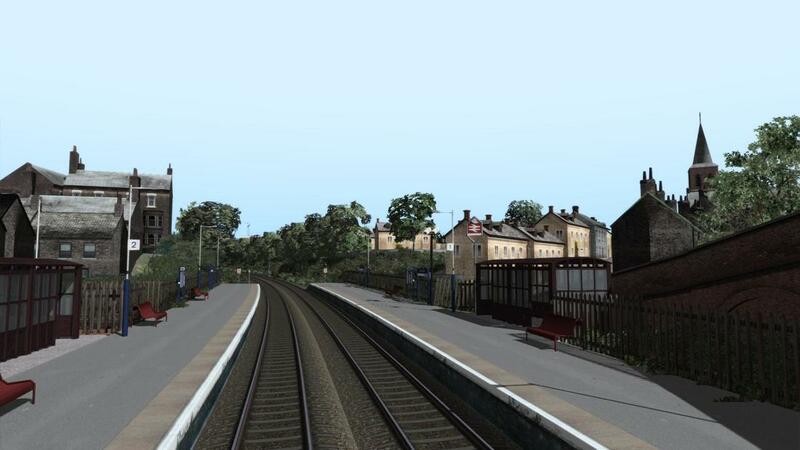 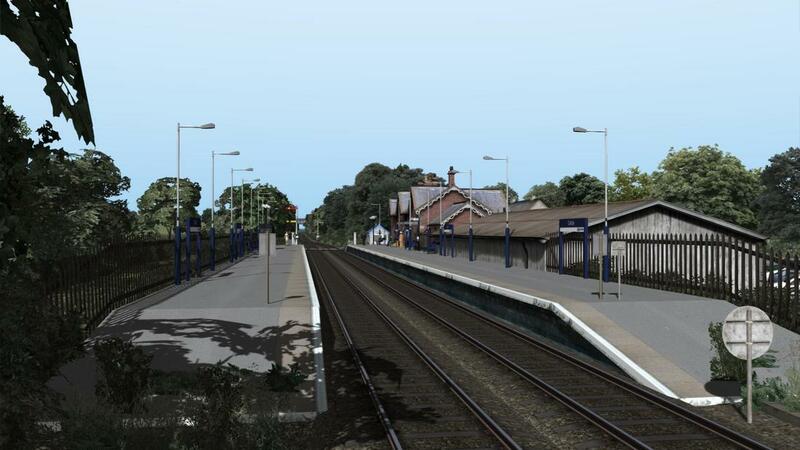 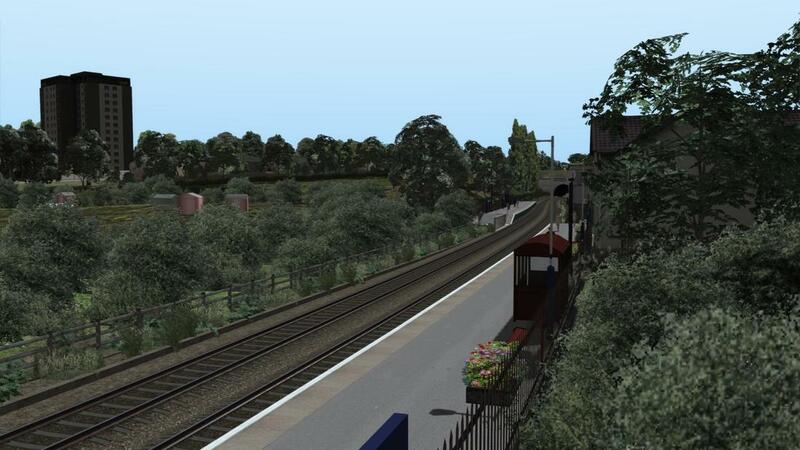 Starbeck is the only station on the 3 mile section between Knaresborough and Harrogate,it is located at the foot of the steep climb into Harrogate town with gradients as steep as 1 in 66 towards the summit. 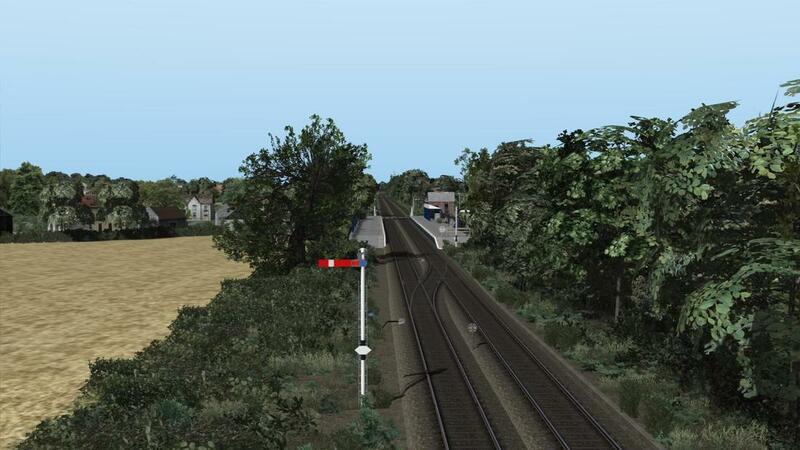 Harrogate is at the summit of the climb from Starbeck on one side and Pannal on the other and features some superb semaphore signalling at it's north end. The station is dominated by the Victoria Car Park and it's associated bridges which link into the shopping centre of the same name. 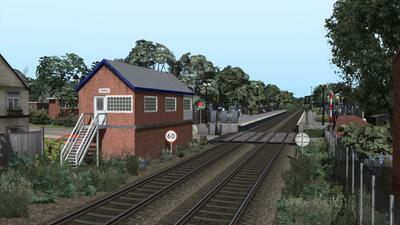 The fenced off bay at the north end is used to stable DMU's on a night while there is also a centre road,the signalbox is just north of the Victoria Car Park. 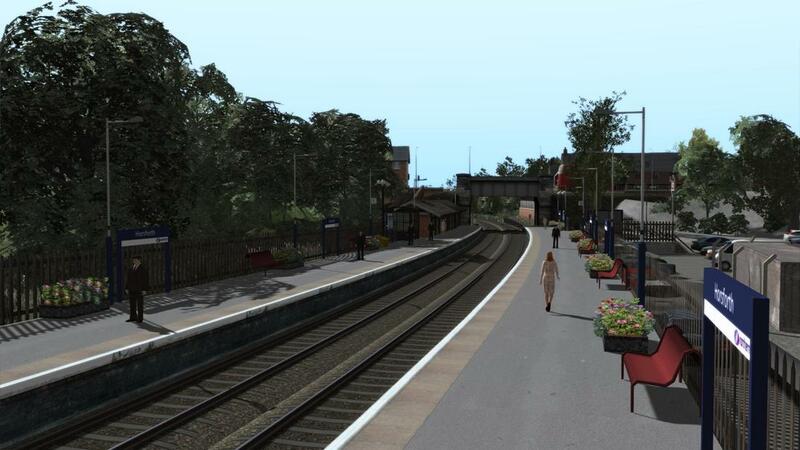 Shortly after leaving the station the line passes through "The Stray",a 200 acre park which borders Harrogate "old town" and is a wonderful place on a summer's day. 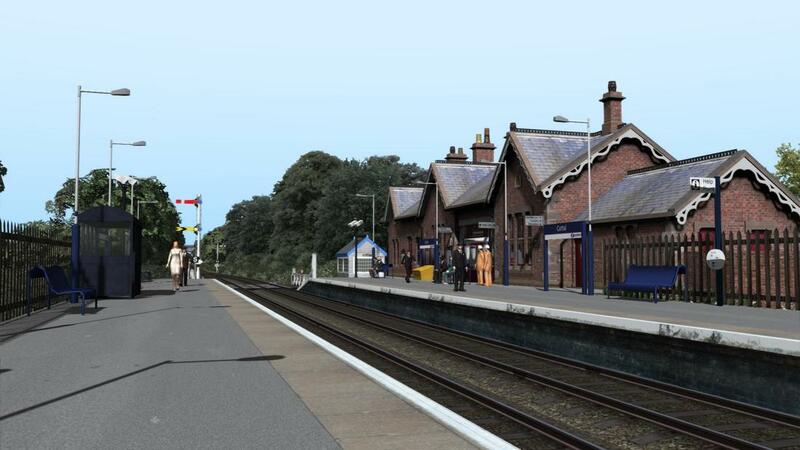 Hornbeam Park is 3/4 mile from Harrogate and features staggered platforms and a sizeable car park in the leafy suburbs of the town. 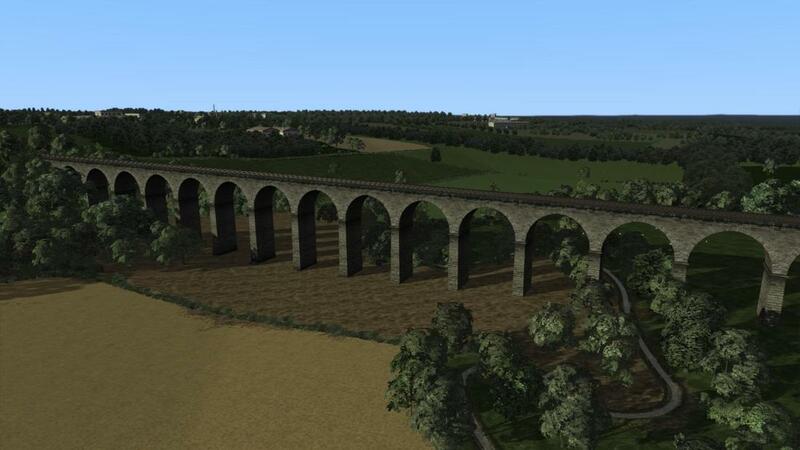 The stunning Crimple Viaduct,around a mile south of Hornbeam Park spans the scenic Crimple Valley. The line here is climbing towards Hornbeam Park coming off the 20mph check-rail protected curve with gradients as steep as 1 in 91. 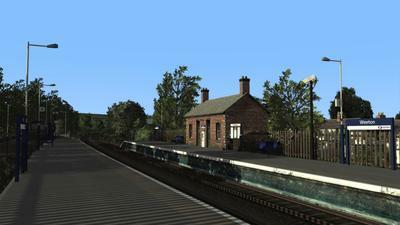 Pannal station is located between Hornbeam Park and Weeton and is near the A61 trunk road,it is the southernmost suburb of Harrogate and is a very pleasant village. Weeton is 3 miles south of Pannal and is located between the tiny villages of Huby and Weeton,shortly after Weeton the line passes through a tunnel before crossing the Wharfe Valley. There is a lengthy 6 mile section beyond Weeton before reaching Horsforth. The section from Weeton to Horsforth sees the line cross the Arthington Viaduct (aka Castley Viaduct) which carries the line high above the River Wharfe before the 1 in 94 climb to Horsforth begins in earnest. 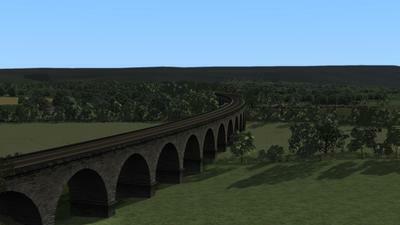 Shortly after the viaduct the line climbs into the 2 mile long Bramhope Tunnel,which these days is a serious factor in the banning of steam charters over the line due to gauging issues. The climb continues through the tunnel and is a serious challenge for any steam loco. 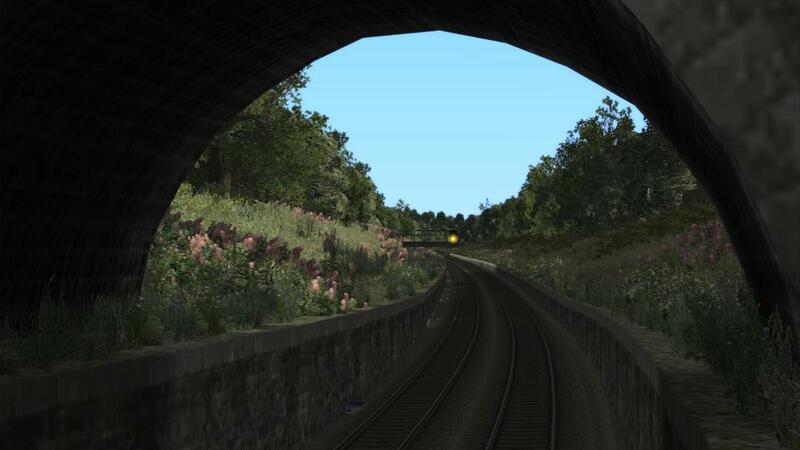 Upon exiting the tunnel the line climbs through a steep cutting,lined with Rosebay Willow which creates a very distinctive scent on a summers day. 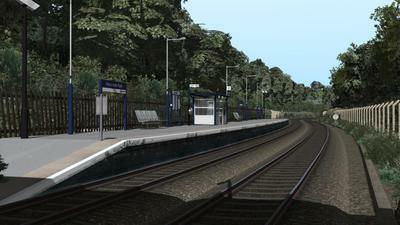 Horsforth is the first station in the suburbs of Leeds and is near the summit of the long descent to Leeds which has a ruling gradient around 1 in 100. The station sees a daily service to London Kings Cross from Harrogate,which bizarrely passes straight through on the return to Harrogate in the evening. In 2012 a new turnback siding was added at the north end of the station to allow for further timetable enhancements,as of December 2017 these have not come to fruition. 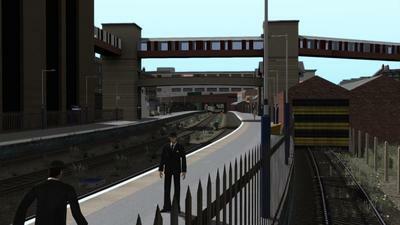 Headingley station features staggered platforms and is close to Headingley Stadium,the home of Rugby League side Leeds Rhinos. 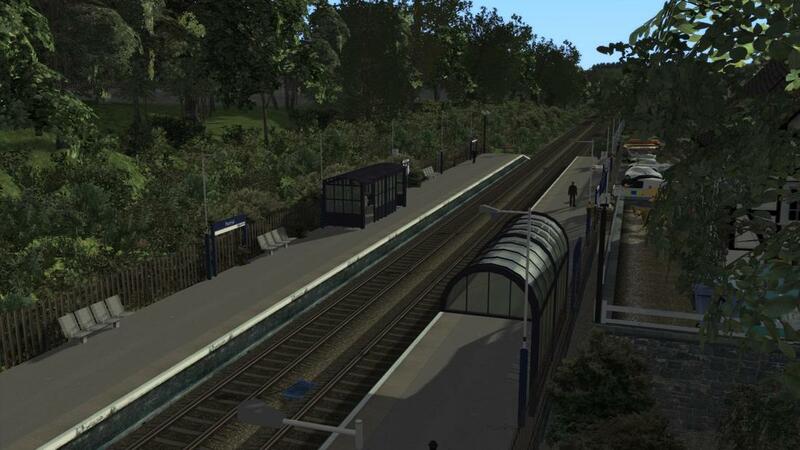 Burley Park is the final station before Leeds and is on the northern side of the Aire Valley positioned around 1/2 mile from Kirkstall Viaduct. Kirkstall Viaduct spans the Aire Valley and also crosses the Leeds and Liverpool Canal before joining the Aire Valley line to run through Armley cutting towards Whitehall Junction. 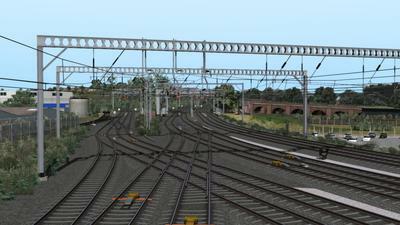 The Harrogate Loop joins the Aire Valley Line (formerly Midland Main Line) at Armley Junction before running as a 4 track formation towards Whitehall Junction where the lines from Dewsbury (Manchester),Wakefield (Doncaster) and Bradford Interchange join from the West. 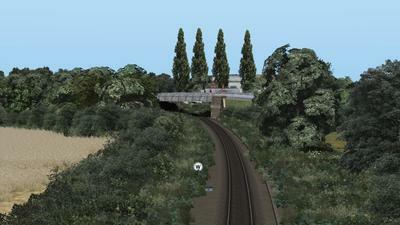 The line then curves sharply with the former Midland Main Line Diverging to the south. 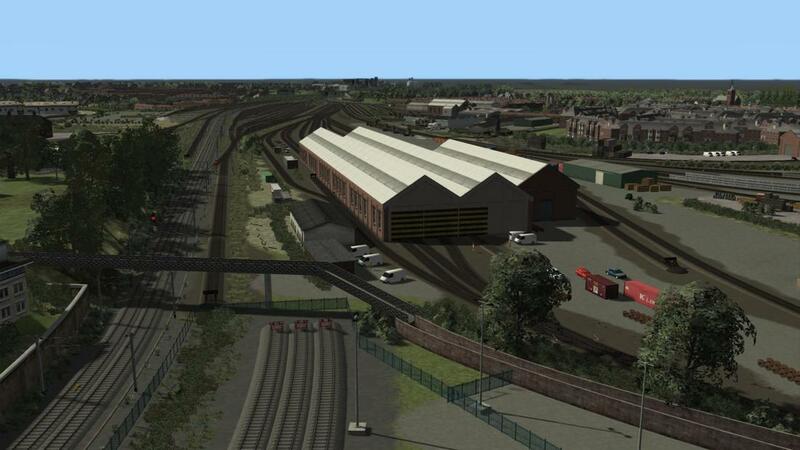 Engine Shed Junction and Holbeck Depot lie on the former Midland Main Line south of Leeds and are the southernmost point on the Harrogate Loop TS route,Holbeck Depot was once an impressive steam shed and indeed had a sizeable diesel allocation beyond the end of steam. Today it is used by Northern Rail DMU's and Track Machines. 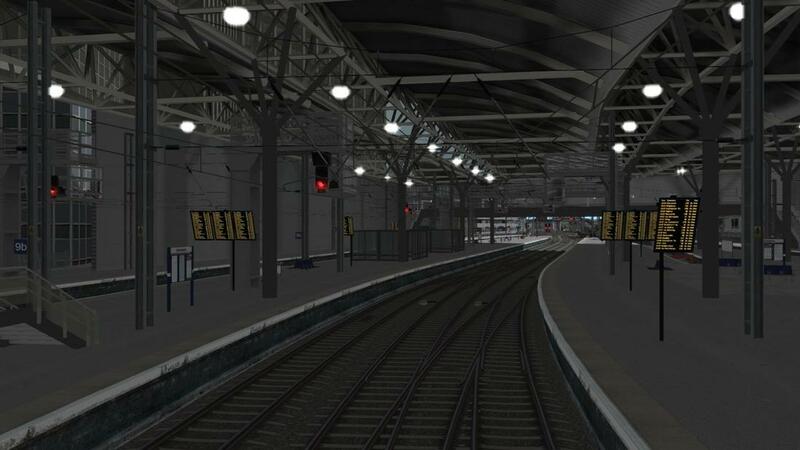 Leeds City station,one of Britains busiest and certainly an impressive site when filled with trains in TS,the hub of Yorkshire's rail scene it features 17 platforms,most split into 4 sections meaning that a whole host of pathing options are available at all times. 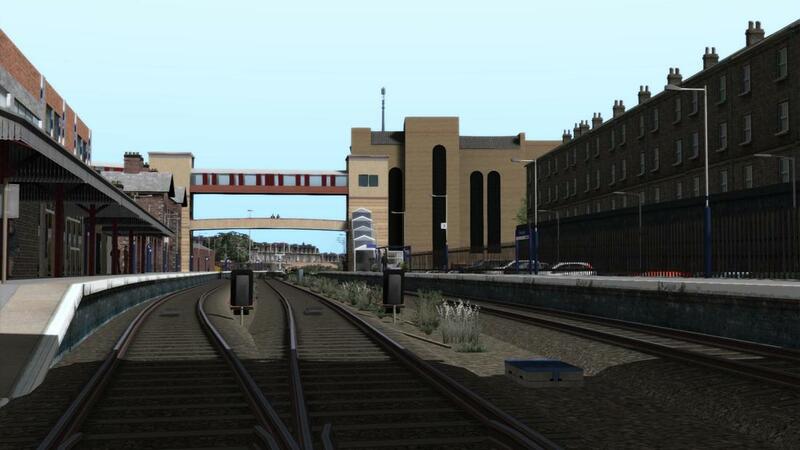 Although there are no fewer 6 tracks leading into Leeds from the West,just 2 exit to the East meaning the east end of the station can often be a bottleneck for Transpennine Express and Cross Country services. Neville Hill Depot is the current limit of the Harrogate Loop route in TS. 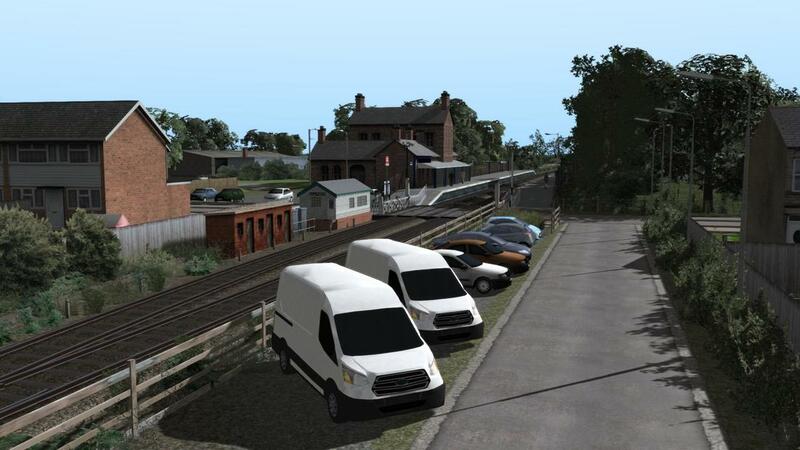 It is used by Northern Rail as their main Yorkshire depot whilst East Midlands Trains and Virgin East Coast also use it as a base,meaning on early mornings and late evenings it is an extremely busy location with trains queuing to leave and enter the depot. 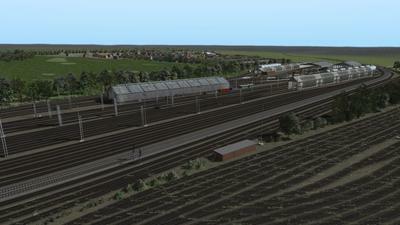 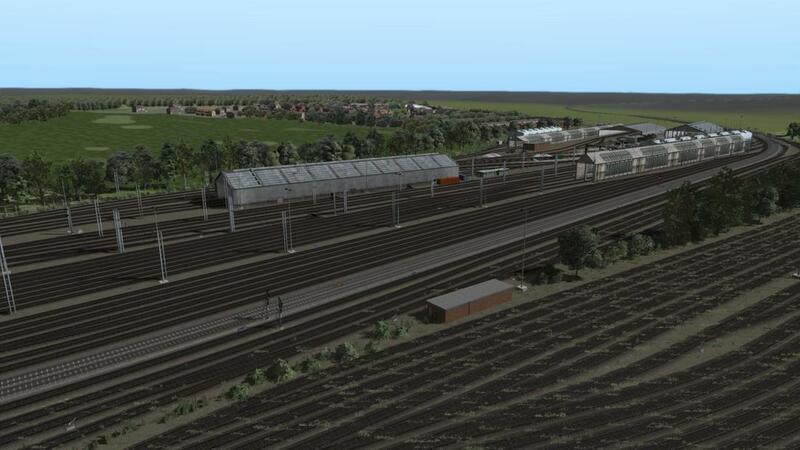 Also included are the sizeable (but little used) yards on the south sides of the York-Leeds direct line. 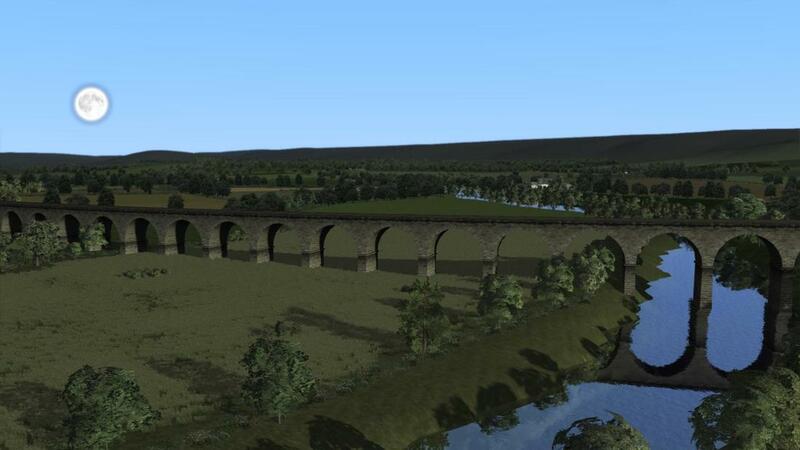 For further information INCLUDING ROUTE REQUIREMENTS please see the manual which is available at the link below,this gives full details of all required payware and freeware items as well as a detailed scenario requirement list,it also features further interesting details about the route including driver instructions for driving trains between Leeds and Knaresborough!